HOME IS WHERE THE HEART IS. Thank goodness ou rs is in Mississippi. From a modest feed-and-seed store in small-town Mississippi to one of the largest poultry producers in the country, Sanderson Farms is proud of our Mississippi heritage. Our employees, the family farmers who raise our chickens, the folks who help us host the Sanderson Farms Championship, and the people who call Mississippi home are at the heart of everything we do. Watch for Zappar codes throughout this magazine. Each code tells you what it will launch. Letter from the Editor Manufacturing supports one-third of the livelihoods in Mississippi. It is a part of our culture and a point of pride for the state. This is also our first multimedia issue, which we are very excited about. In this issue we hope you enjoy reading about invention, education, and leadership that spans decades and has much to show for their dedicated efforts â&#x20AC;&#x201D; raising generations of innovators and doers. And, with Enhanced Content, you can download the free app to your phone or tablet and see videos, 3-D models, animations, and websites spring from the pages! 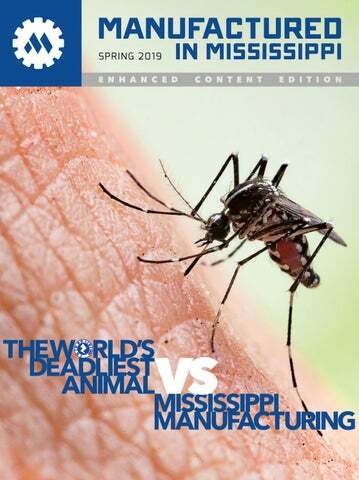 Manufactured in Mississippi magazine is the first privately held Mississippi publication of its kind. Each edition focuses on important industry issues and topics, including state and national legislation, special interest pieces, and business profiles. Every issue is directly distributed to key elected officials, legislators, business leaders, industry leaders, and members of the Mississippi Manufacturers Association. If you have an important topic that you would like to see on the pages, or are interested in how you can have your company represented in the magazine, please contact our editorial or advertising staff. We trust you will find Manufactured in Mississippi an important read. 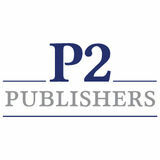 â&#x20AC;&#x201C; Bryan Carter Editor-in-Chief Publisher P2 Publishers Editor-in-Chief Bryan Carter Contributing Editors Matthew Jackson, Holly Hicks Visual Design Justin Maxwell, Craig West Photography Chance Shelton Advertising Director Hannah Kistemaker Manufactured in Mississippi is published by P2 Publishers. Reproduction of Manufactured in Mississippi magazine, in whole or in part, is strictly prohibited without written permission. We do not accept responsibility for any unsolicited materials and may not return them. All information in this magazine is taken from sources considered authoritative, but P2 Publishers cannot guarantee their accuracy. Inclusion of editorials, images, advertisements, or other materials in this magazine does not constitute an endorsement for products or services by the publisher. Expert editorials are provided by outside authors, and represent the expert opinions of those authors. Mississippi’s First Bourbon Bourbon is America’s only native spirit, much like Scotch from Scotland and Champagne from Champagne, France. Now, Mississippi produces four bourbons. The World’s Deadliest Animal vs. Mississippi Manufacturing Spartan Mosquito is on a mission to help the people of the world, and are on track to grow a company worth hundreds of millions of dollars in the process. Burning Desire to Win Mississippi’s manufacturing industry is a picture of steady growth, and there’s no sign of a plateau. Custom Metal Solutions : Forming a New Steel Empire Custom Metal Solutions is turning hard work, tough-as-steel tenacity, and a strategic plan into an industry leadership model. The Mississippi Polymer Institute (MPI) celebrates its 25th Anniversary and the School of Polymer Science and Engineering continues to forge new ground as a renowned establishment at the University of Southern Mississippi (USM). Integration and Automation = Faster Time-to-Hire Empower your hiring process. Eliminate unnecessary labor, reduce costs, increase accuracy, integrate, and automate. Mississippi passed its first statewide Prohibition law in 1907. Mississippi was the first state to ratify the 18th Amendment, which prohibited alcohol sales across the country. Mississippi was the last state to abolish Prohibition in 1966, over three decades after the 21st Amendment was passed to end Prohibition nationally in 1933. 2017 marked the year of Mississippiâ&#x20AC;&#x2122;s first bourbon. And bourbon production is manufacturing. When we think of bourbon, we think of Kentucky. Many people still believe Kentucky is the only state where bourbon is made. Bourbon is Americaâ&#x20AC;&#x2122;s only native spirit, much like Scotch from Scotland and Champagne from Champagne, France. While bourbon production matured in Kentucky, being made in Kentucky is not a requirement when it comes to producing bourbon. Being made in the United States is a requirement. BOURBON ORIGINS While there is some dispute over bourbon’s origins, it is recognized that whiskey was being made in Kentucky commercially as early as 1783. Both the Samuels family (Maker’s Mark) and Evan Williams have claims. A Baptist minister, Elijah Craig, joined them just six years later in 1789, and the Beams followed suit when they sold their first barrel of “Old Jake Beam Sour” whiskey in 1795. Whiskey was being made and labeled as bourbon in reference to a cluster of counties all called Bourbon, not the single Bourbon County of today. It was not until 1840 that the name “bourbon” became the commonly used term. In 1964, bourbon was declared “America’s Native Spirit” by an act of Congress, at which time regulations were instituted to define what signifies a bourbon. That 1964 declaration gives us the rules of bourbon that we live by today. While the vast majority of bourbon is from Kentucky, more and more states are beginning to produce it. duced within the United States Recipe The grain mixture used to produce the bourbon, called the mash bill, must contain at least 51 percent corn. Most bourbons contain 60-80 percent corn. The remaining grains can be wheat, rye, or malted barley. Fresh spring water is often used. One thing that distinguishes Kentucky bourbon is the use of naturally limestonefiltered spring water. No coloring or flavoring may ever be added to bourbon. Aging Barrels used to age bourbon must be fresh American white oak, which must be charred and used only once. Bourbon must be aged at least four years to be labeled “Straight Bourbon.” Proof The spirit must be distilled at no more than 160 proof, enter the barrel for aging at no more than 125 proof, and bottled at no less than 80 proof. Final Product Bourbon is sold from a single barrel or in small or large batches, which are blends from multiple barrels. If it is barrel proof, then no water has been added after the whiskey is removed from the barrel. It can also be sold filtered or unfiltered. Almost all bourbon is filtered. MISSISSIPPI INTRODUCES BOURBON Run by proprietor David Rich, Rich Grain Distillery produced Mississippi’s first three bourbons: a Wheated Bourbon, a High-Rye Bourbon, and a Four-Grain Bourbon. In 2017, the Four-Grain Bourbon was the first bourbon released to the public. Rich Grain later released the Wheated Bourbon and the High-Rye Bourbon, along with the Four-Grain Bourbon in a holiday gift set. All three bourbons are handmade and bottled at 90 proof. RICH GRAIN DISTILLERY 339 W Peace St. Canton, MS 39046 601-391-3190 richdistilling.com The Wheated Bourbon mash bill contains 66 percent corn, 17 percent malted barley, and 17 percent wheat. Bottled at 90 proof. The High-Rye Bourbon mash bill contains 66 percent corn, 17 percent malted barley, and 17 percent rye. Bottled at 90 proof. The Four-Grain Bourbon mash bill contains 66 percent corn, 17 percent malted barley, 8.5 percent rye, and 8.5 percent wheat. Bottled at 90 proof. Cathead Distillery, Mississippi’s first and oldest distillery since Prohibition was repealed, released its first bourbon, named “Old Soul Bourbon,” in November 2018. Mississippi’s fourth bourbon, Old Soul, is a high-rye mash bill bourbon. The mash bill contains 75 percent corn, 21 percent rye, and 4 percent malted barley. Tours are available at both distilleries. Each brand is available in many Mississippi stores that sell spirits, but the Rich Grain Wheated and High Rye bourbons are only available at Beside the Grain, a spirits store located in the same building as the Rich Grain Distillery. Beside the Grain also features a mural of the history of whiskey making on the outside of their building. Since Prohibition ended in Mississippi in 1966, the road was cleared for Bourbon manufacturing. Now Rich Grain Distillery and Cathead Distillery have brought bourbon production to our state. Rich Grain Distilling offers distillery tours featuring a spirits tasting session every Saturday from 11am to 4pm on the hour for $7 per adult. Kids are free but do not get to sample the wares. A variety of Rich Grain products, including Mississippi’s first three bourbons, can be found at spirit stores and fine establishments throughout Mississippi and beyond. For more information, visit richdistilling.com or facebook.com/richgraindistillingco. CATHEAD DISTILLERY 422 South Farish St. Jackson, MS 39201 601-667-3038 catheaddistillery.com Cathead Distillery is located at the corner of Court Street and Farish Street in downtown Jackson. The 20,000-sq-ft facility offers tours and spirits tastings for $15 on Thursdays, Fridays, and Saturdays from 3pm to 7pm. Tour guests are welcome to extend their visit at an inhouse craft beer bar where they can also enjoy ping-pong, board games, and a gift shop stocked with Cathead spirits, shirts, hats, and other gear. Dogs and kids are welcome but can only partake from the nonalcoholic beverages. BESIDE THE GRAIN 339 B West Peace St. Canton, MS 39046 601-391-3701 facebook.com/BesidetheGrain Beside the Grain is a spirits and wine store that sells all of the Rich Grain bourbons in addition to a wide selection of tried and true spirit and wine brands. Open the app and point the camera at the page.
] icon to scan another page. far exceeded expectations. Now Spartan Mosquito is one of Mississippiâ&#x20AC;&#x2122;s fastest growing companies. on the market do not deliver. The market stimulus is that mosquitoes inhabit nearly all parts of the world (except Antarctica), and that people universally hate mosquitoes and the trouble they bring. Mosquitoes are a nuisance. They are notoriously difficult to avoid and they carry several diseases that can often be life threatening. Among the more dangerous and notable diseases are malaria, dengue fever, yellow fever, encephalitis, West Nile, and Zika. THE WORLD’S DEADLIEST ANIMAL In the Emerging Infectious Diseases journal published on the Centers for Disease Control and Prevention (CDC) website, it is reported that each year mosquitoes are responsible for more deaths than any other animal.1 Mind you, it is not the irritating bite that kills; rather, it is the wide array of illnesses that are vectored, or carried, by mosquitoes. While densely populated areas are most at risk for disease outbreaks, American suburbia has been hit particularly hard by fatalities from West Nile and Zika. The World Health Organization (WHO), in a Kobe Center 2014 report,2 listed malaria as the most devastating mosquitovectored disease, claiming more than 600,000 lives annually and leaving 200 million individuals sick and incapacitated for days. The WHO reports that malaria cases in 2017 numbered 219 million, up two million from 2016. Deaths from malaria worldwide in 2017 numbered 435,000.3 Bill Gates, whose foundation has done groundbreaking work in mosquito control in Africa, reports on Gates Notes how dangerous mosquitoes actually are to people.4 Mosquitoes are found in every region of the world except Antarctica. They are the third largest insect population on the planet, just behind termites and ants. Mosquitoes are responsible for 50,000 times more deaths each year than sharks, but they don’t garner the same attention as sharks and other deadly animals such as snakes, crocodiles, and spiders. There is no “Mosquito Week” on TV. It is not just the pesky mosquito bite that is the problem. STRATEGIC SCIENCE Spartan Mosquito Eradicators are hung in trees along the perimeter of a property. These are not traps. These devices attract mosquitoes, which feed on the solution, fly away, and are eradicated. They control mosquito populations by eliminating the active “hunting” mosquitoes, which are often females preparing to lay eggs. Once the Eradicators are properly prepared and placed (typically hung in trees), they work to form a barrier to lure hunting mosquitoes by emitting the same attractants that draw mosquitoes to people and animals. Mosquitoes that feed will perish before they reproduce, thus shutting down the breeding cycle. No eggs, no mosquitoes. No mosquitoes, no bites. Fewer bites equal fewer opportunities for mosquitovectored illnesses, which leads to happier barbecues and kids playing outdoors. Spartan Mosquito’s Eradicators are so effective that they eliminate up to 95 percent of the mosquitoes in their zone of protection in around two weeks, and they continue to work for up to three months. A WELCOMED INVENTION Mississippi-born manufacturer Spartan Mosquito introduced the Spartan Mosquito Eradicator to the public through small mom-and-pop retail stores in Mississippi during the middle of the mosquito season in 2017. After using existing lackluster products to thwart mosquito bites including candles, coils, lights, and spray-on chemicals, people were amazed at how well Spartan Mosquito Eradicators worked. The price point of less than $25 per box was also right. THE FIRST BOOM Within several weeks of being introduced, Spartan Mosquito Eradicators were being sold in retail stores across Mississippi. Sales continued to accelerate and, by the end of 2017, the company was preparing for over 1,000 more retail stores across the nation. This explosive growth propelled the company through three production setups and two warehousing strategies in a matter of months. In November, just six months after introducing their product to retail stores, Spartan had moved from their small, makeshift production spaces into a 63,000-sq-ft warehouse in Laurel, Mississippi. MISSISSIPPIANS USING WHAT THEY HAVE TO HELP OTHERS. PEOPLE AND CARS LINE UP AT A SPARTAN HURRICANE RELIEF LOCATION. The people of Mississippi are known for their charity. Spartan is a Mississippi company that uses its resources to help others. Some of Spartan’s socially conscious acts include hurricane relief; setting up mosquito control for churches, schools, and children’s camps; and international donations. Spartan Mosquito has reached out to hurricane victims in Florida, Texas, and North Carolina and given away enough Eradicators to cover hundreds of square miles of land, helping to protect thousands of families. Spartan has also helped a community in Laos by constructing a school to teach English to children and adults. The school building holds up to 70 students and includes housing for up to three volunteer teachers. grown, reconfigured, grown, and reconfigured again. Back office functions like accounting and legal needed to be established, assessed, and rethought for budget and requirements through multiple stages of successive, rapid growth. Planned fluidity is a difficult but necessary achievement in a company with rapidly changing requirements. In order to be successful, Spartan had to live and perform in a real-time, changing operational environment. how much does a video add to a business card? Watch the element(s) come to life on your screen! Think is a creative agency that specializes in strategic design, media production, and digital marketing. We now design custom print materials that spring to life with videos, 3D models, websites, and animations when you look at them from your phone using the Zappar app. Try it now with this ad before contacting our offce for a friendly quote. Glenn McCullough, Jr., executive director for the Mississippi Development Authority, is a native Mississippian with a burning desire to see Mississippiâ&#x20AC;&#x2122;s economic development not just succeed, but exceed expectations. The Mississippi Development Authority (MDA) is one of Mississippiâ&#x20AC;&#x2122;s most influential state agencies and it shoulders great responsibility in creating and supporting programs and policies that help direct Mississippi toward economic gains and increased workforce capabilities. To make that vision a reality, the MDA has systems in place to constantly monitor the economic state of growth and the pipeline of potential projects considering locating in or expanding in Mississippi. Mississippi Works Mississippi Works focuses on three main areas of economic development: 1	To help craft a long-range strategy to expand economic opportunities in Mississippi with a focus on workforce development; 2	To help bring new investments to all regions of our state while continuing to grow existing businesses and expand them into new markets; 3	To provide a forum for Mississippi business leaders to learn about all the great work going on throughout our state, and giving them tools they can use to spread awareness of Mississippi’s success stories around our nation and world. ON THE BOOKS This manufacturer-sponsored program is proWith 89 major projects in the pipeline, the MCCULLOUGH TO viding $50 million in funding over time, which MDA is managing one of Mississippi’s most MANUFACTURERS: is used to fund academies and apprenticeship robust economic pipelines in years. Each proj“YOU WILL programs in the state. ect is groomed and guided by the MDA. The ACHIEVE YOUR team at the MDA works alongside resource GOALS IN Diesel Academy providers creating partnerships and alliances MISSISSIPPI.” The Hinds Community College Diesel Techthat help ensure the greatest opportunity for nology Academy offers students classroom and success for new or existing manufacturers in hands-on training with diesel technologies and realMississippi that are expanding operations and world equipment. Graduates of this program are job seeking support. Partner organizations include local ready and many join Mississippi-based trucking companies. economic development offices, state agencies, utilities, community colleges, and research universities. Furniture Academy The Mississippi State Furniture Academy launched in 2017 and A WORKFORCE THAT WINS started with a partnership of MSU, Itawamba Community ColWhen it comes to economic development, McCullough leads lege, Northeast Mississippi Community College, Community Dewith: “We win with people.” He sees heart in Mississippians who velopment Foundation, Three Rivers Planning and Development strive to be successful with a career to provide an honorable livDistrict, and four furniture companies. Today, there are 10 furniing for their families. Mississippians are proud of what they have ture companies that partner in this academy and have first interachieved and how they participate in the world. view rights with the graduates. There are student scholarships, and Having heart is a competitive advantage. The programs that Misgraduates can get higher compensation based on their certification sissippi has put into place in order to develop the talent of its workfrom the academy. force are driven by this desire to achieve. Coding Academies The Mississippi Community Colleges Board, Innovate Mississippi, and the MDA launched Mississippi’s first public/private co-funded coding academy in 2017 and its first class graduated in 2018. The academies are training newly graduated high school and college students to become computer programmers. The first training program placed students in an immersive, full-time, five-day-aweek training environment for nine months. Sponsorship and curriculum guidance come from private industry and many students in the programs have job offers before graduation. Five more coding academy programs are expected to be offered by Mississippi community colleges in 2019. WORKING IN A DIRECTION The heart of manufacturing is creation, and Mississippi has shown that it does that well. Mississippi directly employs 13 percent of its workforce in manufacturing, compared with 5-6 percent of most states. Mississippi manufacturers supply the world’s most advanced radar systems, automobiles, warships, helicopters, aerospace technologies, and more. Mississippi manufacturers are adding value and innovation to agricultural technologies, forestry, healthcare, medical device technologies, and to many other fields. DID YOU KNOW? RAYTHEON, LOCATED IN FOREST, MISSISSIPPI, MANUFACTURES THE MOST ADVANCED RADAR SYSTEM IN THE WORLD. IT CAN DETECT AND TAKE OUT (WITH PARTNERED WEAPONS SYSTEMS) A FOOTBALL OVER 800 MILES AWAY. MANUFACTURED BY VETERANS AND THEIR FAMILIES DeGoo is a Hand Cleaner for hard to remove industrial substances and smells like permanent marker, transmission uid, tar, skunk, shy odors, gear lube, and more. In Mississippi, we have the benefit of being home to many manufacturing companies, and Jeremy Chrislip, CEO of Custom Metal Solutions, has a tale to tell. It is a story of success built on character, planning, and execution. Knowing the start-up story as told directly from the founder provides a privileged look at the nature of the success of a newly established player in Mississippiâ&#x20AC;&#x2122;s manufacturing community. Mississippi is known for launching new manufacturing enterprises. Custom Metal Solutions is turning hard work, toughas-steel tenacity, and a strategic plan into an industry leadership model. It is a story of vision, mentorship, ambitious learning, planning, and defiance. BUILDING BLOCKS Childhood As a child, Jeremy spent time with his grandfather as he visited his business customers. During these early years, Jeremy was learning. He was doing what many parents (and grandparents) hope kids are doing when we are passing along “adult”-level lessons — he was absorbing. He was taking direction and learning lessons that would help guide his view of entrepreneurship and his measure of success. Jeremy’s grandfather knew the nature of the customer relationship and how to nurture it to build and sustain a business, and Jeremy was inheriting it. To this day, Jeremy still quotes his grandfather and uses his grandfather’s anecdotes to guide his team. Best Practices Vertical integration aligned the company. Best practices made it better. Vision made it work together. Chrislip now had the opportunity to mold a company using the best practices he had been filing away during his early career. He drew inspiration and direction from the three greatest teachers he had in his life: his grandfather, sports, and his mentor. He had done his homework. He had industry knowledge and contacts. He knew how he wanted to model the culture. Jeremy says he is doing nothing new, that he is just executing what is known to be the right way. However, he also brought a few new ideas to the table. Chrislip had developed buying channels for steel that his competitors could not compete with. Custom Metal Solutions added value by offering “roll to stock” and “roll to order, ” and offered the convenience of on-site off-loading. Growth to Retail Custom Metal Solutions was executing to plan. Wholesale baseline volume determined distribution. The next strategic step was to leverage wholesale security to establish a retail channel. Custom Metal Solutions reached out to a reputable design agency and established its retail brand, secured a logo, built a website, and began to market its products to the public. The result has been another integrated sales channel that has experienced continuous growth. predictability to the start up. Once the business opened, many of Chrislip’s close connections chose to do business with the new company. As the world around us evolves and there is demand for change, the University of Southern Mississippi has risen to the forefront as a leader in innovative research. The need for advanced material understanding for industrial growth has the attention of Mississippi Polymer Institute (MPI) and the School of Polymer Science and Engineering. Director Dr. Monica Tisack discusses activities at MPI, and Professors Dr. Derek Patton, Dr. Xiaodan Gu, and Dr. Jason Azoulay discuss new advances in research and the future of polymer research. ment of Polymer Science, and its success can be attributed to “standing on the shoulders” of the university’s institutional knowledge of material science while honing services that focus on industry and commercialization needs. MPI now operates within the Accelerator, a facility located at USM's Innovation and Commercialization Park five miles off the main Hattiesburg campus. Clients can lease space for their STEMbased businesses while taking advantage of USM's resources. In the beginning, work came from needs in the paint and coatings industry; however, MPI now works in many polymer market segments including personal protection, medical, forensics, aerospace, automotive, electronics, and consumer products, just to name a few. The last couple of years have seen an expansion and diversification in customer needs. Testing and workforce training needs are continually growing, and manufacturing troubleshooting work often yields multimillion-dollar benefits. However, it’s the demand for product development that is really taking off, both in large companies and area startups. MPI has been growing to address those needs. X-ray photoelectron spectrometer (XPS) â&#x20AC;&#x201D; an instrument that will enable surface elemental analysis at nanometer depths with minimal compositional disturbance. This new equipment has some of the most advanced capabilities of their kind in Mississippi. Thereâ&#x20AC;&#x2122;s also the big news that the school has recently been approved to establish the Center for Optoelectronic Materials and Devices, as well as adding two new professors. One professor will specialize in polymer physics and physical chemistry, while the other specializes in biomaterials. that prevent unwanted organism growth or membranes for liquid-liquid separations. Dr. Patton’s group creates polymer coatings that have similar types of hierarchical roughness ranging from nanometers to microns that are anti-wetting, just as in nature. One goal is to create oilwater separation membranes using scalable processes such as spray applications and UV curing to apply these coatings to common textiles. This approach provides a quick and cost-effective means of separating oil from water. They’ve also worked with companies and national park agencies to create anti-fouling coatings to protect and restore historical gravestones. solar cells, wearable and even implantable bioelectronics. “For example, I worked with Prof. Zhenan Bao at Stanford University who is making rapid progress in bioelectronics. Bioelectronics can provide a way to restore human touch or movement by an external stimulus in the event of bodily injury or a situation where brainwaves have a disconnection from the intended point of movement. In the near future, injured soldiers will regain the ability to walk using this sort of technology by connecting the nerve with an external prosthetic device. Polymeric materials are the perfect candidates for this type of complex procedure due to their tailorable physical properties and electronic functions, making them more compatible with the human body.” In the short term and more related to Mississippi manufacturing, he sees printed electronics as a perfect option. Printed electronics have already been commercialized in OLED televisions. In the battle of OLED vs LED televisions, OLED TVs have a considerably better picture quality and contrast. With some modifications to existing manufacturing technologies, printed electronics could easily be produced in Mississippi. In recent years, employment background screening has gone from a costly and time-consuming task to an automated and technologydriven necessity where employers expect fast,accurate, and inexpensive results. Job applicants and hiring managers often get frustrated with the hiring process when the same questions need to be answered multiple times and tracking applicants is labor intensive because the employee information management system is not integrated with the background screening and drug testing services. tain the results of a county-level crimistant searches allow employers to move nal background check, hiring managers forward in the hiring process by quickly now receive rapid confirming or valiresults from a nadating basic inWHAT USED TO TAKE DAYS tionwide search. formation such as IS NOW AUTOMATED WITH In short, databases a Social Security and file transfer number or name TECHNOLOGY THAT YIELDS technologies have and address history. INSTANTANEOUS RESULTS. changed the landAutomated searches scape of employquickly move the ment screening. What used to take days employment screening and drug testing is now automated with technology that along by providing electronic delivery of yields instantaneous results. process updates and results. Eliminating time delays often associated with COMPETITIVE EDGE manual follow-up on important screenA greater number of employers are ing components such as drug testing, integrating instant and automated employment, or education verifications employment screening products into promotes a faster time-to-hire, which their hiring process to help them gain can make the difference in securing a a competitive edge when it comes to right candidate, especially in hypercomquickly hiring the best candidates. Inpetitive hiring environments. and processes is key. Integrating an automated Applicant Tracking System can streamline the onboarding process and help ensure hiring compliance. The right company will help make the transition easy, increase your company’s ability to quickly identify best candidates, and reduce the time-to-hire. Empower your hiring process. Eliminate unnecessary labor, reduce costs, increase accuracy, integrate, and automate. With the right solution in place, you can turn your company hiring process into a distinct competitive advantage. •	76 percent of HR leaders say emplyee onboard practices are underutilized at their organization. blame insufficient technology for their inability to automate and better organize onboarding programs, further inhibiting their ability to train managers in proper onboarding techniques. 2018 report on “New Hire Momentum: Driving the Onboarding Experience” a study by Kronos Incorporated (Kronos) and the Human Capital Institute (HCI). For more information about employment screening, documentaion services, and free consultations for qualifying businesses, contact Laborchex at 1-800-880-0366 or visit www.laborchex.com. This Editorial is Provided Laborchex is an MMA partner and provides MMA by members an Industry Expert discounted pricing through the partnership program. ONBOARDING REGULATIONS In the United States, as part of onboarding a new employee, employers must ensure that all the required paperwork is properly completed and submitted, on time, with no exceptions. A standardized and automated electronic Form I-9 and E-Verify solution that satisfies U.S. Citizenship and Immigration Services (USCIS) requirements related to electronic creation, signatures, retention, and security of the Form I-9 ensures all onboarding paperwork meets regulations. A paperless I-9 E-Verify solution enables employers to create, view, download, store, and print the Form I-9, as well as run management reports on demand. These solutions provide built-in tools such as automated error checking that help an employer complete forms accurately and promote compliance. may be penalized in searches made from mobile devices. WEBSITES BUILT FOR TODAY - LEAVING THE 90S Websites have changed dramatically over the years, especially with the ubiquity of mobile devices. No longer is a one page, content-free presence enough — not for search engines, and certainly not for target audiences — both now expect much more from the websites of the businesses they deal with. design and functionality has to match content and personality. Avoiding “fad” designs not only saves money (since websites do not have to be constantly redesigned and redeveloped), but also helps your company look reliable and established, rather than fickle and chasing popularity with no substance. Form and function need to work together for each business’s website to effectively represent that individual business. STRATEGY 1: SEARCH ENGINE OPTIMIZATION (SEO) SEO has become more complex. on search engine algorithms to piece together what the business does and who their target audiences are — structured data markup can now be added to website code to identify anything from where the owner attended college to the amount of specific items your business has in stock. As search algorithms scan a website, they pick up the structured data markup, which allows your business to give very detailed information to the algorithm, thereby allowing the search engine to direct the proper traffic to your website. STRATEGY 2: ONLINE ADVERTISING Another way to get in front of people searching for products and services is through paid online ads. This type of advertising allows your business to define target audiences, craft messaging that will call them to engage, created targeted ads, and then place these ads where your audience spends time online. STRATEGY 3: SOCIAL MEDIA In order to reach customers and potential new clients, you have to meet them where they are. Social media platforms — including Facebook, Instagram, Twitter, Pinterest, LinkedIn, and many others — are a moderately recent feature of people’s online lives, but one that seems here to stay. Businesses have quickly discerned that the places where people gather to interact are places they can be reached. For example, when everyone listened to the radio or watched the television, those were the platforms where businesses focused advertising dollars to share their message. Today, people gather in huge numbers on social media platforms. More conservative advertising industries, including manufacturing, have largely shied away from a robust social media presence, primarily because of the feeling of newness and the uncertainty about how to tap into that new space. To avoid feared “new media” pitfalls, the key word in all social media interactions for businesses is relationships. Social media is not a place to overtly advertise; it is a place to carry on conversations. Whether formal or informal, any interaction that places your business in conversation with a possible client is moving in the right direction. “...because the most meaningful of all interactions are connective.” Social media offers the perfect platform to get in front of potential customers, converse with them, and establish yourself as the go-to expert in your industry — all at a price point much lower than traditional advertising outlets like print or television. Connect with your audience, because the most meaningful of all interactions are connective. STRATEGY 4: CONTENT MARKETING How do businesses enhance their brand in even the most minor interactions? Content marketing. Strategically speaking, even if your business dominates its marketspace like Coca-Cola® or Amazon®, every interaction with a consumer or potential customer should be taken as a chance to further your brand. Pithy statements and cutesy graphics do very little to substantively build a brand. Instead, base your business’s online strategy around meaningful content. Inform and educate — this will bring people back to you again and again. Content marketing that connects to an audience is not purely didactic, rather interactive and a joy to consume. For example, instead of simply telling people that your product is better than the competition, delve into the problem you are solving, why it exists, and how you solve it. Let your expertise demonstrate why you are the company to trust rather than attempting to lower their respect for competitive products, services, and companies. Content marketing works everywhere — sound website content, informative online ads, conversational interactions on social — it even works in print and television. Building your story around meaningful information creates a bond between consumer and company that no “in your face” ad can ever match. COMPETITIVE ONLINE PRESENCE To remain competitive in today’s market, a successful online presence is necessary. By focusing on key strategies for websites, online advertising, and social media, any manufacturing company can interact with their audience online. Matthew E. Jackson is vice president of client services at Think Webstore, a media production and integrated marketing agency based in Ridgeland, Mississippi, dedicated to helping companies realize marketing, branding, social, and online strategies. Among his various duties at Think, Jackson manages all aspects of social media and social media marketing for clients of the agency. He has been invited to speak about the use of social media by businesses, and has previously authored articles on social media usage. In addition to working with Think, Jackson is married, a father, an avid reader, a busy freelance writer, and a regular contributor to multiple publications. market your products to people who have already interacted with one of your online properties — hence the term “retargeting,” or “remarketing.” Technology has gotten sufficiently sophisticated to even allow remarketing to happen at specific time intervals. A company can now show ads for product refills, for example, retargeting a person at the proper time for them to purchase refills. Whether getting back in front of a potential customer after three days, or reminding an existing customer after two months, retargeting ads can be crafted to keep your brand in front of consumers. The world of paid advertising online is constantly growing and evolving, offering ways to reach consumers that were unimaginable only a few years ago. Whether it’s as big as a battleship or visible only with a microscope, Mississippi manufactures it. If it’s going into outer space or coming in from overseas, Mississippians make it move. Companies collaborate with our respected community college system for workforce training and utilize the nationally recognized centers of excellence at our universities for research and development. Mississippi is building one success story after another. That’s why companies like Rolls Royce, SpaceX, Northrop Grumman, NASA, Huntington Ingalls, GE Aviation, Airbus Helicopters, Aurora Flight Sciences and Raytheon have operations in Mississippi. Let us help write your success story in Mississippi. For More Information contact Shannon Hillman, Director of Membership & Educational Services, shannon@mma-web.org, 601-292-1127 or visit mma-web.org.